It's late afternoon in February and the sun is setting in the west. 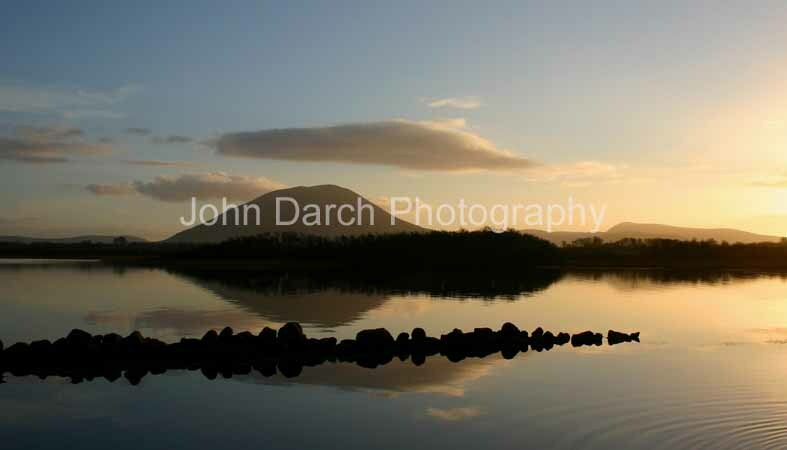 Nephin is reflected in the still waters of Lough Conn. Still, that is, apart from the ripples created by a bunch of nosy cattle just out of shot to the right!